Severe personal injuries that afflict individuals who've suffered auto accidents or other major traumas can throw your life permanently off course. As Herbert Thornbury has seen time and time again, this is particularly true of spinal cord injuries, which devastate too many Chattanooga-area residents every year. These spinal cord injuries are catastrophic. They don't just cause pain and trauma – they can make it difficult (sometimes impossible) to work and earn a living. Fortunately, if you've suffered a spinal cord injury, you can count on our attorney to fight for you in this difficult time. If you need an attorney in the Chattanooga, Tennessee area with ample experience handling spinal cord injury cases, please call Herbert Thornbury, Attorney at Law today at 423-443-4973 for a free consultation. Most of the spinal cord injury cases we handle result from car accidents. These wrecks can cause severe trauma, often damaging the vital but somewhat vulnerable spinal cord. Regardless of the specific nature of the accident that caused your injury, Mr. Thornbury can help if your injury was the result of another party's negligence and misconduct. 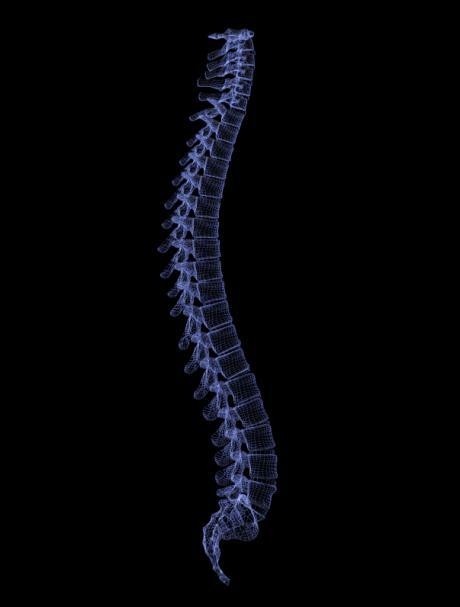 You could think of your spinal cord as the load-bearing pillar of your body. Everything you do is possible because of your spinal cord. If it loses integrity, if something – even a little something – goes wrong with it, the effects could be devastating. This isn't an exhaustive list, of course, and every spinal cord injury is unique. These injuries can range in severity, and the more severe the injury, the more serious the consequences for you and your family. One thing all spinal cord injuries have in common, however, is the huge cost of treating them. Fully treating a spinal cord injury requires surgery, physical therapy, medications and in some instances lifelong daily care. These treatments are necessary, but they are not cheap. In your circumstances, legal compensation is absolutely crucial. When you've been victimized by another person's negligence and misconduct, you shouldn't have to bear the costs of those mistakes. You have the right to pursue compensation from the person who caused your injury. If you want to speak to our experienced Chattanooga, Tennessee spinal cord injury attorney about your legal options, please call Herbert Thornbury, Attorney at Law today at 423-443-4973 for a free consultation.